Earlier this year, the AOM Specialized Conference on Big Data and Managing in a Digital Economy was held at the University of Surrey in the UK (April 18-20, 2018). In relation to AOM’s goals for the Specialized Conference Initiative, the Big Data conference was a resounding success, with over 400 submissions, 388 participants from all across the AOM and based around the world, a series of tutorials and active learning workshops, an exciting program, three inspiring keynote speeches, and a lovely conference dinner in the Surrey Cathedral.It was a great launch for this new initiative and is keeping the AOM at the cutting edge of innovation to meet the long-term needs of our membership. For more fast facts about the AOM Big Data Conference, please see the post-conference infographic. 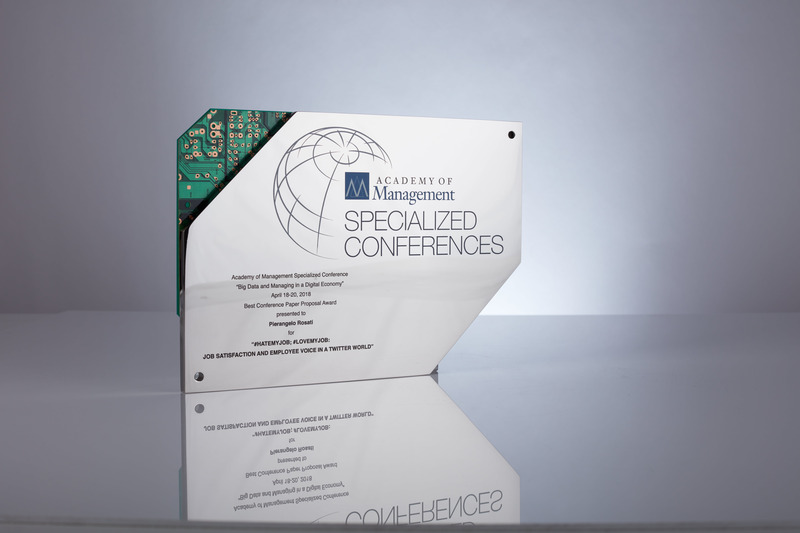 The Big Data and Managing in a Digital Economy Conference recognizes select proposals that represent high quality and relevance to the conference theme by issuing a Best Conference Paper Proposal Award (pictured above). The recipients of this prestigious award were announced during the Gala Dinner of the conference. Click here for the award winners and other information. Big Data and Managing in a Digital Economy included three keynote speakers; Paul Y. Mang, Cassie Kozyrkov and Nuria Oliver. Below are video recordings of their presentations in Surrey, UK. 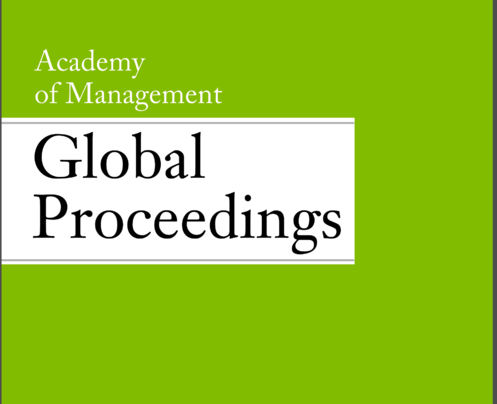 Academy of Management Global Proceedings is only published online. This issue for the “Big Data and Managing in a Digital Economy” includes abstracts of all papers and symposia presented at the conference. Papers published in the Global Proceedings are abridged because presenting papers at their full length would preclude subsequent journal publication. Click here for abstracts of research presented at the Big Data and Managing in a Digital Economy conference.